Pi-hsien Chen was born in Taipei in 1950. When she was nine, she left Taiwan and one year later entered the University of Music in Cologne, Germany. She grew up in the home of her teacher, Hans-Otto Schmidt-Neuhaus, who was also the teacher of Karlheinz Stockhausen, Christoph Eschenbach, and Péter Eötvös. She later studied with Hans Leygraf and also with Wilhelm Kempff, Claudio Arrau, Geza Anda, and Tatjana Nikolajewa. In 1972, her carrier as pianist began when she won the First Prize at the International ARD Competition in Munich. Her special interest in Schoenberg and Bach also enabled her to win the Arnold Schoenberg Competition in Rotterdam and the Bach Competition in Washington, D.C.
She has performed in most of the major concert halls and with many of the world’s major orchestras, particularly almost every orchestra within the German radio system. Among the orchestras with whom she has appeared are the Royal Philharmonic, the London Symphony, the BBC Orchestra, the Scottish Chamber Orchestra, the Concertgebouw Orchestra in Amsterdam, the Zurich Chamber Orchestra and Tonhalle Orchestra, as well as the NHK Orchestra in Tokyo. She has also been a partner in the Asko Ensemble in Amsterdam, Ensemble Modern in Frankfurt, and Ensemble Intercontemporain in Paris. She has appeared in the festivals in Lucerne, Schwetzingen, Hong Kong, and Osaka, as well as the Berliner Festspiele, the Wien Modern festival, the Festival d’Autumne in Paris, the Strasbourg Festival, the South Bank Festival in London, the Huddersfield Festival, the BBC Proms, the Ruhr Piano Festival, and the festival in Roque d'Antéron. She represented German music at EXPO 2000 in Hanover, appearing with Alfons Kontarsky. She has been a frequent guest at the Donaueschingen Festival, and was one of six piano soloists in the world premiere of Georg Friedrich Haas's limited approximations in 2010. Her dedication to new piano music evolved out of her collaboration with composers such as John Cage, Elliott Carter, Pierre Boulez, Karlheinz Stockhausen, György Kurtág, John Patrick Thomas, and Péter Eötvös, to whom she was married. An IRCAM documentary film by Walter Schels shows Boulez assisting Pi-hsien Chen as she prepares for the world premiere of his Douze Notations. In "Black and White", a documentary film about Elliott Carter, Pi-hsien Chen is the pianist in his Double Concerto for Harpsichord & Piano and Two Chamber Orchestras. She was a professor specializing in contemporary piano music at the Universities of Music in Cologne and Freiburg. 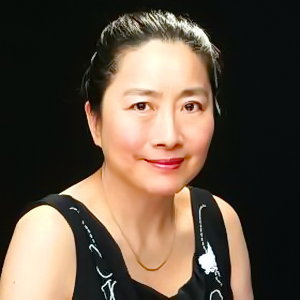 She has taught and performed at the "International Summer Courses” in Darmstadt, the Sibelius Academy in Helsinki, and the Chinese Foundation for Performing Arts Summer Music Festival in Boston. The documentary film "Himmel voller Geigen" (shown on the German/French arts channel ARTE in 2014) examines Pi-hsien Chen’s role as a pioneer in Taiwan's musical life.